A bonanza for salaried class. Finance Minister Arun Jaiiley on Thursday raised the IT exemption limit to Rs 2.5 lakh and hiked investment limit for tax savings by Rs 50,000. enabling individuals to save up to Rs 40,000. The Budget for 2014-15 raised individual Income Tax limit from Rs 2 lakh to Rs 2.5 lakh for citizens up to 60 years of age and from Rs 2.5 lakh to Rs 3 lakh for persons above 60 years. Simultaneously. Jaitley also raised the limit of small investments that are exempt from Income Tax. from existing Rs I lakh to Rs 1.5 lakh. This relief is provided for investment made in schemes listed under 80C of Income Tax Act. like I*ublic Provident Fund. life insurance, fixed deposits and Provident Fund. For home loan borrowers, the Budget raised the tax benefit on interest payment of housing loans to Rs 2 lakh from Rs 1.5 lakh at present on self occupied properties. The hike in exemption limit and increase in saving ceiling will lead a maxinium tax saving of Rs 39,655 where surcharge is applicable. For people with net annual income of Rs 3 lakh, the relief today provided will result in saving of Rs 5,150 in taxes. For individual with Rs 5 lakh net income, the tax benefit will come to Rs 10,300 after considering tax deduction under 80C. For persons with income of Rs 10 lakh, the savings in taxes would Rs 15,450, accord ing to calculations by KPMG. "I do not propose to make any change in the tax rate. However, with a view to provide relief to small and marginal taxpayers and senior citizens. 1 propose to increase personal income tax exemption limit by Rs 50,000 that is. from Rs 2 lakh to Rs 2.5 lakh in the case of individual taxpayers who are below the age of 60 years." 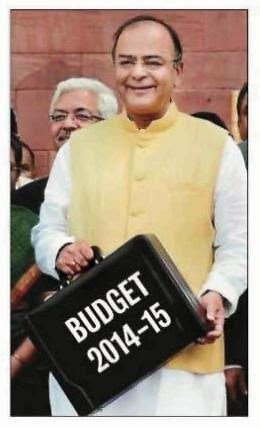 he said while presenting budget for 2014-15 in the Parliament. The proposal, according to an estimate, is likely to benefit about 2 crore tax payers.